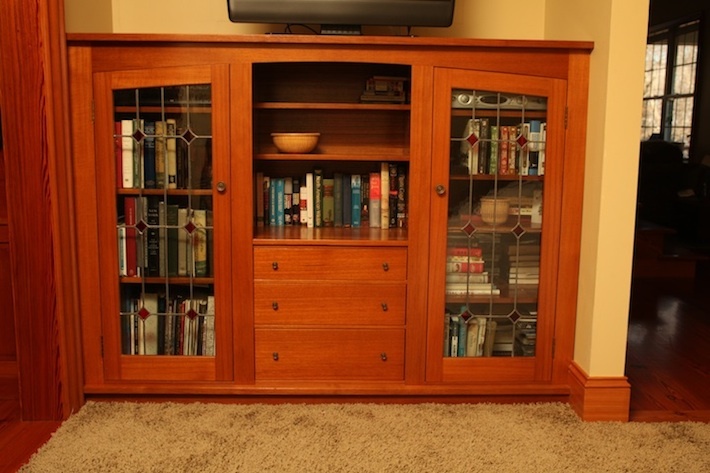 This teak entertainment cabinet was designed and built into the available space. It houses a TV, stereo and cable boxes, ample shelving for books, and three large drawers for storage. Wired computer fans supply ventilation for cooling the stereo and cable boxes. 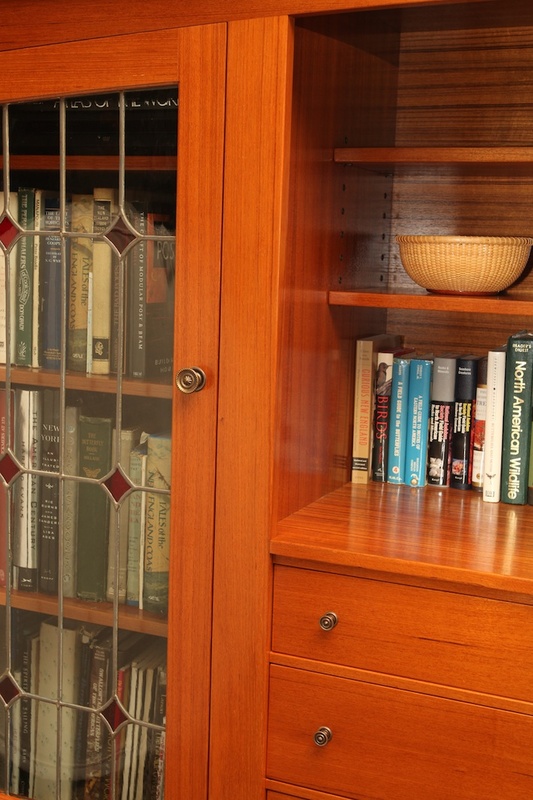 The solid teak doors surround antique stained leaded glass panels. The hardware is reproduced cast bronze utilizing the lost wax method. Finish is marine varnish, semi-gloss.